Yes, it does. And depending on how quickly you get your Missouri or Illinois bankruptcy filed, you can actually prevent the creditor from taking any action at all (so as to avoid any money being garnished from your pay checks). The filing of a bankruptcy is accompanied by what is called an Automatic Stay. This is a fancy way of saying that everything stops. All creditor activity must immediately cease, including phone calls and letters. This Stay also extends to anything awarded to the creditor by way of a hearing. When a creditor sues you for breach of contract on a debt that you owe, the judgment from the court allows the creditor to do one of three things: 1) garnish your wages; 2) levy your bank account; 3) place a lien against your property. The creditor can execute one of these options, or it can do all three at once. The most likely, of course, is the wage garnishment. The creditor simply sends your employer the necessary documentation, and the payroll department begins to deduct. Many people wait until the garnishment (or bank levy) hits before they take any action. But of course, you may file bankruptcy at any point (in other words, you need not wait until the garnishment has taken effect). For instance, if a bankruptcy petition is filed prior to the creditor receiving a judgment in court, the breach of contract action the creditor filed against you must be withdrawn. In this scenario, there would never even be a court hearing in the first place. Or if you know that you are going to be filing for bankruptcy, but have not yet been able to file it (because you are still coming up with the fees to pay for it), you can always make an appearance and ask the judge for a continuance. This pushes the hearing to date sometime in the future, which gives you more time to get your bankruptcy filed. The affordable St. Louis bankruptcy lawyers at Brinkman & Alter, LLC have been getting rid of wage garnishments for quite some time. Our main goal is to stop the creditor from taking any more money from you, get the underlying debt resolved, and put you on the road towards financial freedom. This is primarily accomplished by the fresh start / clean slate that the court gives you once you file your Petition for Relief. 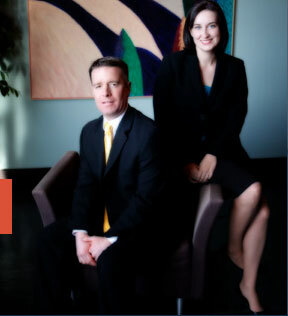 Initial consultations are free of charge, so call today! !